Quality solvent-based penetrating sealer designed to seal architectural and regular gray concrete, terrazzo, brick and similar surfaces. QC SOLVENT SEAL V.O.C. II provides a non-yellowing finish that protects the surface against dusting, staining and dirt. QC SOLVENT SEAL V.O.C. II conforms to all California Air Quality Management V.O.C. regulations. Sealer may be used on new and old, indoor and outdoor surfaces. DIRECTIONS: QC SOLVENT SEAL V.O.C. II should be applied undiluted by roller, mop, a lambswool applicator or sprayer. Apply to clean, dry surface uniformly without puddles. Coverage will average from 300-500 square feet per gallon depending on porosity and method of application. Quality solvent-based penetrating sealer designed to seal architectural and regular gray concrete, terrazzo, brick and similar surfaces. QC S.D.V.O.C. provides a non-yellowing finish that protects the surface against dusting, staining and dirt. May be used on new and old, indoor and outdoor surfaces. Conforms to Bay Area AQMD and San Diego APCD V.O.C. limits. DIRECTIONS: Same as QC SOLVENT SEAL V.O.C. II. Quality solvent-based penetrating sealer designed to seal architectural and regular gray concrete, terrazzo, brick and similar surfaces. QC SOLVENT SEAL will provide a non-yellowing “patina gloss” finish that protects the surface against dusting, staining and dirt. This product does not comply with many California Air Quality Management V.O.C. regulations. DIRECTIONS: Same as QC SOLVENT SEAL V.O.C. II. Refer to QC CEMSEAL Product Information Bulletin. Refer to QC CEMGUARD Product Information Bulletin. Impregnating sealer for the protection of imprinted, colored and natural concrete, and other masonry surfaces. While traditional seals and finishes change the appearance – darkening or adding gloss to the surface – QC HYDROSEAL preserves the “natural” look and slip resistance. Use on outdoor areas that get wet, such as pool decks, outdoor ramps, etc. Repels spills and soils, minimizing staining and maintenance time. DIRECTIONS: Surface must be thoroughly cleaned and rinsed, and allowed to dry. Using a clean white string mop or pump sprayer apply a wet coat (300 to 500 square feet per gallon coverage for smooth finish, 200 to 400 square feet per gallon for rough finish) of QC HYDROSEAL to a 500 square foot area. Keep wet for five minutes to allow sealer to penetrate deeply, then smooth in sealer with clean wrung-out mop or clean toweling – all excess material must be removed from surface. Finish with a clean, dry mop to pick up any remaining QC HYDROSEAL on the surface. Continue applying QC HYDROSEAL to 500 square foot sections, as above, until desired area is completed. Impregnating sealer for the protection of imprinted, colored and natural concrete, and other masonry surfaces. QC TECH SEAL will preserve the natural appearance and slip resistance of the surface. Use on outdoor areas that get wet, such as pool decks, outdoor ramps, etc. Repels water stains, soils, food grease, and oils, minimizing staining and maintenance time. QC TECH SEAL is easy and safe to apply since it will not leave behind a difficult to remove residue. DIRECTIONS: Surface must be thoroughly cleaned, rinsed and allowed to dry. Using a clean cotton mop or pump sprayer, apply a wet coat (200 to 500 square feet per gallon coverage) of QC TECH SEAL to a 500 square foot area. Keep wet for 5-10 minutes to allow sealer to penetrate deeply, then smooth in sealer with clean wrung-out mop or clean toweling. Use a clean, dry mop to pick up any remaining QC TECH SEAL on the surface. Continue applying to 500 square foot sections, as above, until desired area is completed. Forms a high solids solvent-based coating that will preserve and protect any above-grade concrete, masonry and stone while acting as a tough, durable soil and chemical resistant barrier. Conforms to all California air quality requirements. Coverage will average 300-400 square feet per gallon. DIRECTIONS: Refer to QC SURPRO SB Product Information Bulletin for complete application instructions. Forms a high solids water-based coating that will preserve and protect any above-grade concrete or masonry while acting as a tough, durable soil and chemical resistant barrier, without the odor typically found in solventborne seals. Conforms to all California air quality requirements. Coverage will average 400-600 square feet per gallon. DIRECTIONS: Refer to QC SURPRO WB Product Information Bulletin for complete application instructions. Provides a maintenance top coat for interior architectural and regular gray concrete surfaces. Because of the high solids content of this product, a porous floor will require fewer coats of floor polish, which reduces the cost associated with maintenance. Stripping is easy with QC INTERIOR FLOOR STRIP. DIRECTIONS: Remove existing seal of finish if discolored or worn before applying QC INTERIOR FLOOR SEAL. Apply a medium coat, approximately 1,200 square feet per gallon, with a mop or applicator. For very porous floors, two coats may be needed. Refer to QC COLOR CURE Product Information Bulletin. Water-based emulsion that can be used as both a membrane curing compound and a penetrating sealer for colored and natural concrete. Can be applied to new concrete as a moisture barrier to increase impact strength. Excellent as a seal to dust-proof concrete and repel water and stains. Suitable for both interior and exterior use, and will not yellow, haze or flake. Complies with V.O.C. regulations, ASTM C 309 and ASTM C 156 requirements. DIRECTIONS. Curing new concrete – QC CLEAR CURE is ready to use, do not dilute. Apply after broom or trowel finishing, when surface moisture has completely disappeared. Apply with an airless sprayer, pump-up sprayer or short nap roller. Coat the surface uniformly, without leaving puddles or spaces. Coverage will vary, approximately 300-400 square feet per gallon for rough or broom finish, 400-600 square feet per gallon for smooth finish. For maximum hardness development and oil resistance, apply a second coat after first coat fully cures (approximately 12 hours). Let second coat cure for 12 hours before opening to traffic. 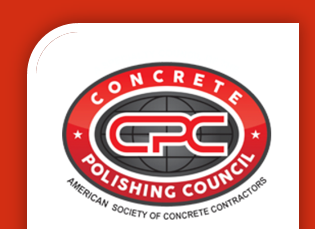 Sealing existing concrete -Surface must be thoroughly cleaned and rinsed, and allowed to dry. Apply one or more coats using a sprayer, lambswool applicator, or string mop. Coverage will vary, approximately 300-500 square feet per gallon for rough finish, 400-600 square feet per gallon for smooth finish. Do not allow to puddle. it is better to apply two thin coats than one heavy coat. Allow each coat to dry thoroughly before applying subsequent coats. A lower gloss version of QC CLEAR CURE, designed to provide the optimum in curing and sealing performance with increased economy in use. Complies with V.O.C. regulations, ASTM C 309 and ASTM C 156 requirements. DIRECTIONS: Same as QC CLEAR CURE. This product is designed to quickly and efficiently emulsify and strip QC SOLVENT SEAL, QC SOLVENT SEAL V.O.C. II, QC CEMSEAL, QC SOLVENT SEAL S.D.V.O.C., QC CLEAR CURE, QC CLEAR CURE MATTE FINISH and QC COLOR CURE. DIRECTIONS: QC SEAL STRIP is water dispersible; however, it is most effective when used undiluted. Apply QC SEAL STRIP with mop or sprayer. Work small area at a time. Allow 15 minutes or longer dwell time, then scrape or scrub with a floor buffer and a stripping brush or pad. Pick up or vacuum solution, then scrub with a mild alkaline detergent solution, followed by thorough rinsing. Allow floor to dry before applying seal or finish. Approximate coverage is 100 square feet per gallon, depending on amount and type of coating. Quickly and effectively strips only QC INTERIOR FLOOR SEAL and should not be used to strip other QC sealers. DIRECTIONS: Dilute with 5 to 10 parts water. Apply with mop or sprayer, allow solution to dissolve and raise old sealer for 5 to 10 minutes. Let QC INTERIOR FLOOR STRIP do the work. After scrubbing and pick up, rinse the floor and allow to dry. Coverage is approximately 1,000 square feet per gallon. QC FLOOR CLEANER will clean floors sealed with QC SOLVENT SEAL, QC SOLVENT SEAL V.O.C. II, QC CLEAR CURE, QC CLEAR CURE MATTE FINISH, QC COLOR CURE, or QC INTERIOR FLOOR SEAL, without affecting the sealer coating, when used according to directions. Rinses easily without excessive foaming. DIRECTIONS: For moderately soiled floors, use 4 to 8 ounces QC FLOOR CLEANER per gallon of water. For light floor cleaning, use 1 to 2 ounces per gallon of water. For cleaning all other surfaces, concentrations can be adjusted from 1 ounce per gallon of water depending on the amount and type of soil. QC CONCRETE DEGREASER is a versatile cleaner for removing oily or greasy types of soils from colored, imprinted, and/or natural concrete floors and surfaces. Combines cleaning and degreasing without the use of petroleum solvents. However, due to its strength, it is not recommended for cleaning floors sealed with QC INTERIOR FLOOR SEAL, QC CEMSEAL, QC COLORCURE, QC CLEAR CURE, QC CLEAR CURE MATTE FINISH or other water-based sealers. For areas sealed with these products, use QC FLOOR CLEANER. DIRECTIONS: For concrete floor cleaning, add one to two cups of QC CONCRETE DEGREASER per gallon of water. Apply liberally to floor, allow ten minutes dwell time and scrub with floor machine equipped with a scrubbing or stripping pad or brush. Rinse well and allow to dry before opening to traffic or proceeding with sealer/polish application. Polymeric grit coating additive designed to prevent slippery conditions if the floor seal becomes wet or oily. QC SURE TRAC can be easily mixed into both waterborne and solventborne seals. DIRECTIONS: Mix QC SURE TRAC into the sealer and stir thoroughly. Apply a medium coat of the sealer following normal application procedures using a pump-up type sprayer, roller, lambswool applicator, or mop. Apply the sealer as evenly as possible, stirring frequently. NOTE: DETAILED DIRECTIONS FOR USE AND MATERIAL SAFETY DATA LABELS ARE AFFIXED TO EVERY INDIVIDUAL CONTAINER WHEN SHIPPED. FOR MORE INFORMATION ON THE ABOVE PRODUCTS, REFER TO THE PRODUCT CONTAINER LABEL OR CALL QC CONSTRUCTION PRODUCTS. ALL PRODUCTS ARE PACKAGED IN 5 GALLON PAILS AND 55 GALLON DRUMS. QC SEALERS, STRIPPERS AND CURES are warranted to be of uniform quality within manufacturing tolerances. Since control is not exercised over its use, no warranty, expressed or implied, is made as to the effects of such use. Seller’s and manufacturer’s obligation under this warranty shall be limited to refunding the purchase price of that portion of the material proven to be defective. QC Construction Products, Madera, CA.